Graphic organizers are an easy-to-use tool for students in the classroom. A graphic organizer can arrange and order a large amount of content into smaller chunks of information, making it easier for students to understand the information. Or, in writing, the graphic organizers help students to organize jumbled ideas into a cohesive paragraph, essay, report, story, etc. Graphic organizers can be found all over the Internet. 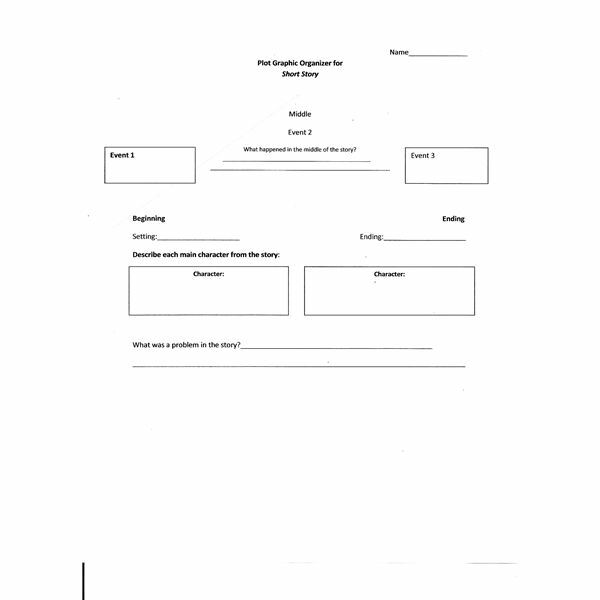 Free graphic organizers are sometimes PDF files and usually there is not any explanation on how to use them. This lesson includes three free graphic organizers: Plot Chart Graphic Organizer, Novel Elements Graphic Organizer and Note Taking Graphic Organizer for Research. In addition, there are great links to other quality lessons that use different types of graphic organizers. The first graphic organizer that is included in this lesson is the Plot Chart Graphic Organizer. This is a simplified form of a plot diagram. The Plot Chart Graphic Organizer can help elementary or middle school students to understand the basic plot of a short story or novel that they have read. It is designed in the basic shape of a triangle. There are two boxes to list two of the main characters and a brief description of each. There is a line to write the setting and lines to write a major conflict or problem in the story. Then, there are boxes or lines to write the three main events in the story. Last, there is a line to write the ending of the story. 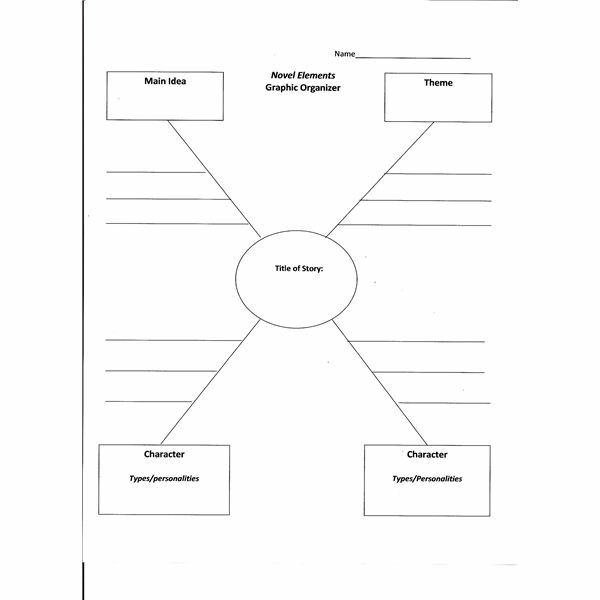 The second graphic organizer included in this lesson is the Novel Elements Graphic Organizer. This will help students to understand a novel or short story better. The focus of this graphic organizer is theme, main idea, and main character personalities or types. It is in the basic shape of an X. In the center, there is a circle to write the title of the story or novel. In the top left corner is a box to identify the main idea. On the lines that lead to the circle are lines for additional information on the main idea. In the top right corner, there is a box to identify the theme. There are additional lines to tell why the theme was chosen. In the bottom left and right hand corner, there are boxes for the character’s name and personality traits. There are additional lines for more description of the characters’ personalities. 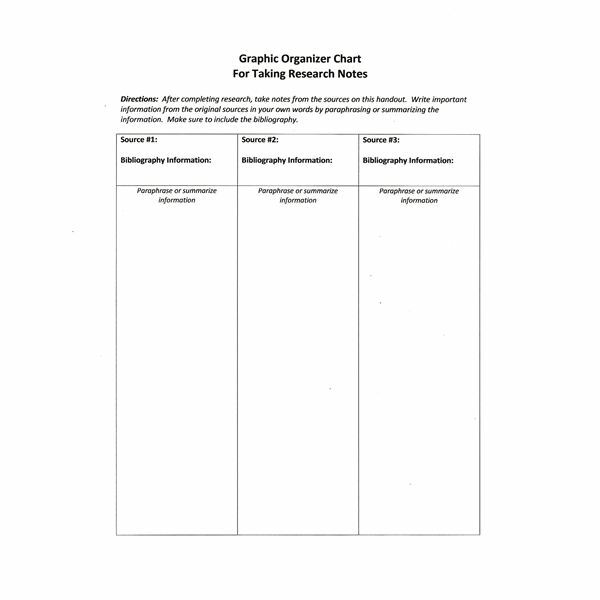 The last free graphic organizer included in this lesson is the Note Taking Graphic Organizer for Research. Young researchers, such as elementary and middle school students really struggle to use note cards when researching and writing a research paper. This graphic organizer can help students take research notes without have note cards falling all over the floor or getting lost. There are three columns for three different sources for the young researcher. At the top of each column, there is a place to write the title of the source and bibliography information. Students should write this information down while researching so that they do not lose it or forget about it later. There is ample room to take paraphrased notes or summarized notes. The teacher can make several copies of the graphic organizer for each student so that they have enough to complete a research paper. Graphic organizers are not just for the language arts classroom. There are many parts of a graphic organizer, which makes this tool very versatile. Graphic organizers can be useful in the social studies, science, math or health classrooms. Really, they can be used in just about any class to help students learn information or to organize ideas. There are math graphic organizers that help students by explaining Factor Trees, complex Venn Diagrams and charts. An interactive graphic organizer can be effective at the elementary school, middle school, and high school level. At each level, the graphic organizer should become more complex so that students do not become bored with them. High school and upper middle school students can even use technology to enhance them. Lastly, error analysis graphic organizers help students with special needs or help special education teachers explain content in the classroom. The key is that the teachers take time to show students how to properly use them. Graphic organizers can be used at any level with any type of student. The key is to experiment and find out what works best with the students in your classroom. The most exciting fact about graphic organizers is that most are free. The articles in this series will explain and give ideas on how to use graphic organizers.